Time to share some more Amazon purchases! I have ordered a few really great things lately, and I want to shout it from the rooftops! 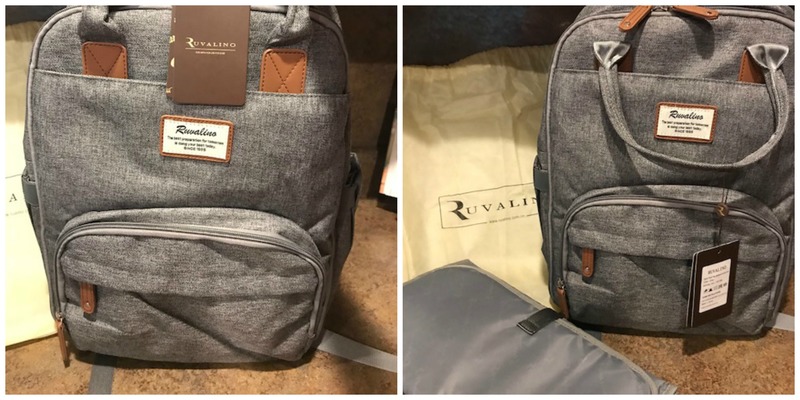 Ruvalino Diaper Bag – Chris bought me a really nice over the shoulder Coach diaper bag when I was pregnant. I had picked it out and was super excited about it. I still love the way it works, but quickly learned once Zoe became mobile, that an over the shoulder bag is not the best thing to have! I poured over several backpack style bags online and in stores. I just couldn’t decide what was going to be the best bang for my buck. After much debate, I thought I had settled on this one. But I sent it to a mom friend and she was like oh did you see this one??? She made a comment that she liked some of the features better than her own. I decided to order it, and I am so glad that I did!!!! It looks even better in person than it does online. It feels high quality, and looks like it cost a lot more than it did. The two large pouches with double zippers fit everything I want it to and then some. 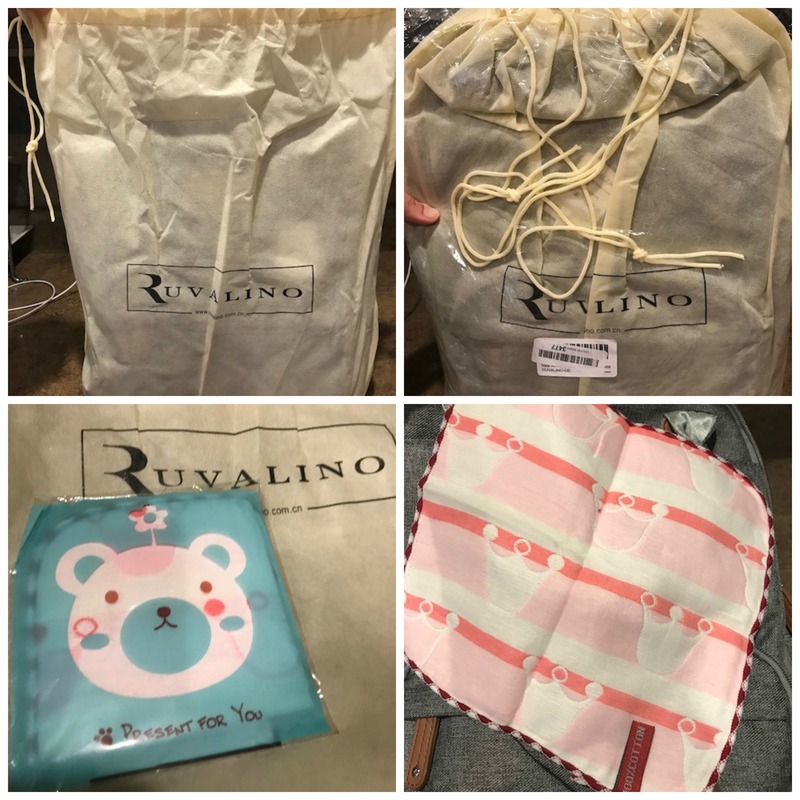 I LOVE the mommy pouch, it is absolutely perfect for the few things I carry for myself. Zoe’s cup (and mine) fit in the side pouches perfectly. And since Zoe doesn’t need bottles anymore, I use the front pouch for apple sauce packets and other snack related things. I took it to work one day, and it fit all my purse items, laptop, ipad, notebook, lunchbox, power cords and everything else I needed for the day too! So you can definitely use it for other things than a diaper bag. In fact, it looks like a regular backpack, and not a diaper bag in the least bit. Which is appealing to me. I love the double handles on top, to give another way to carry or grab it. Seriously cannot be happier. Also, the packaging was first class. It came in a wonderful protective drawstring, and even had a free gift inside. And it has a changing pad that is perfect for travel. The attention to detail is very evident. I am so tempted to order another to have for work. 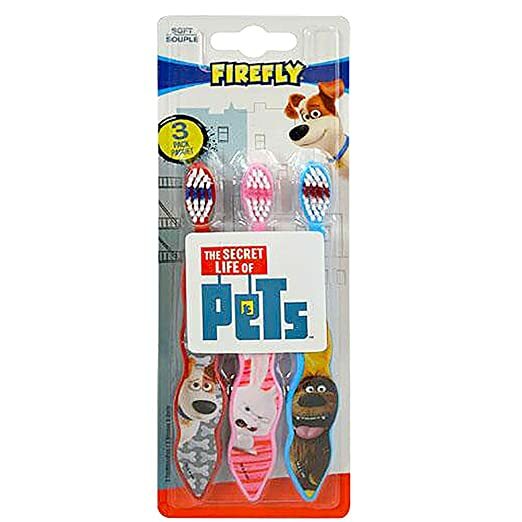 Secret Life of Pets Toothbrush – A three pack for less than $5??? And they just happened to be the characters that Zoe is obsessed with right now! These are really cute and the handle is even a fun shape. 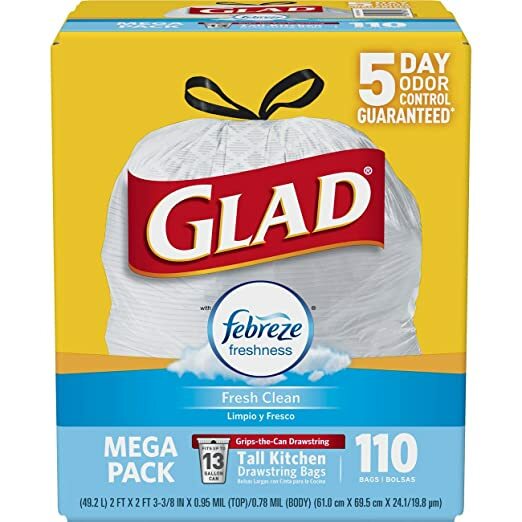 Glad Trash Bags – This might sound silly, but I love ordering these on Amazon. We can just tell Alexa to do it while we are standing in the kitchen realizing we are running low. They come in two days for free, and have a little scent to them that keeps them “Fresh” a little longer than a regular trash bag. Win. Win. Polarspex Sunglasses – Steph and I each caused each other to go down the black hole of sunglasses on Amazon. I ended up seeing a pair she picked and cursed her for making me add them to my cart. But less than $15 and SUPER CUTE??? Sign me up!!!! I was impressed with the style/fit/quality in person. They are super comfy and I have reached for them several times. 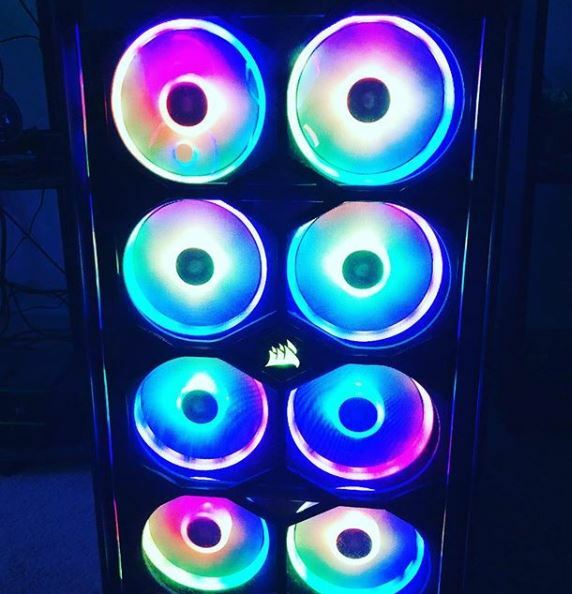 Corsair Light Fans – This is Chris’s order, but I had to share. He rebuilt his computer recently, new tower and everything. These fans might be the coolest thing ever!!!! Stole this from Chris….close up shot of the fans in action. There are more that run along the top. I saw the sunglasses – WHICH I ALREADY OWN – and had the itch to click and look at MORE SUNGLASSES. WTF. I have considered getting a diaper bag as my work bag LOL. All the pockets. Look at the computer – so fancy & FUTURISTIC! So glad you found a bag that works for you! I had to laugh at the Life of Pets toothbrushes – perfect for your girl!!! I better show my husband the fans…so much coolness! Now why would I think you’d be sunglasses addicted? Oh my goodness, so CUTE! I went to my moms the other day and she has a tray with 11 pairs on it, lol. Love Amazon posts so much! That backpack is so cool! I love that it’s a diaper bag. So trendy! 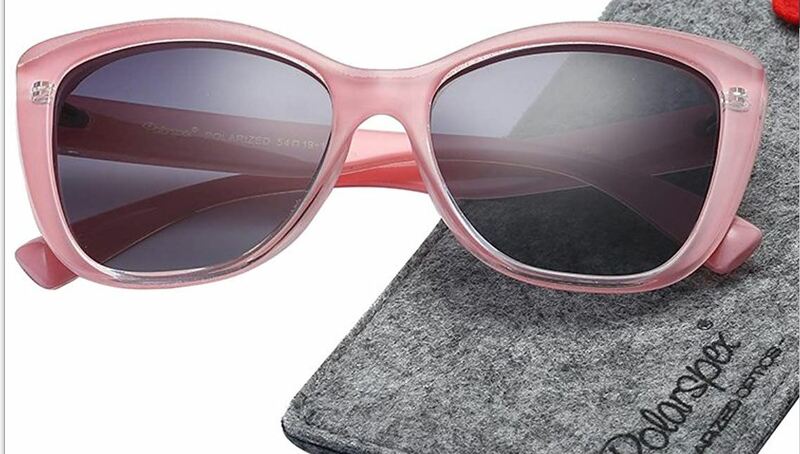 The sunglasses are super chic, too! Scented trash bags are the best! Love that diaper bag. It’s super cute. you know I order multiple sunglasses a year on Amazon. LOL. I can’t help myself plus I can’t ever spend more than $20. I need to start ordering those trash bags! I feel like we’re always out. I love diaper bag backpacks — they really do make sense. Those sunnies are super cute – I went down the Amazon rabbit hole after clicking yours and ended up ordering a pair! oops! Other than a new planner for the year (Happy Planner) and a long blazer from Walmart (picking it up tonight) I’ve been really trying to not buy anything. Those sunglasses are amazing though. Added them to my cart! Oh, that diaper bag is amazing. It’s great that you can use it for work too! I like diaper bags that look like regular bags, so you aren’t stuck JUST using them for the kids…or can’t use them when they grow out of it.